The rebuilding of the block bounded by New Change, Cheapside, Bread and Watling streets must enrich the entire neighborhood. 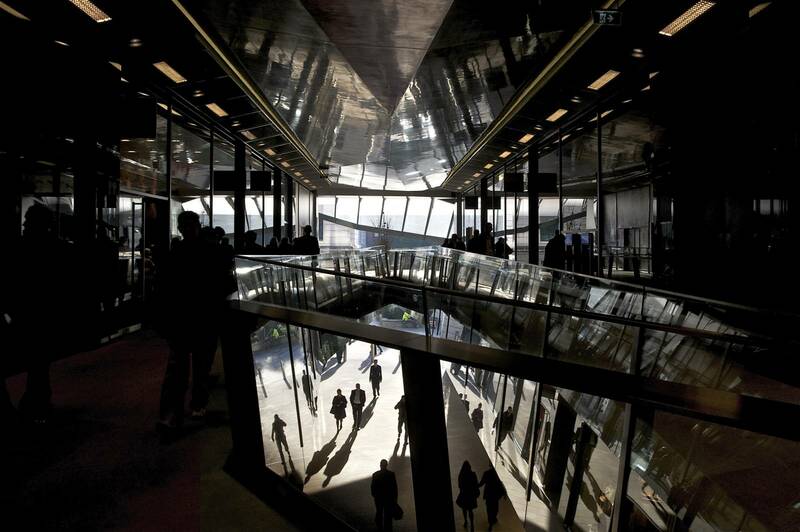 There are questions to answer: how do we complete the existing system of shopping streets? 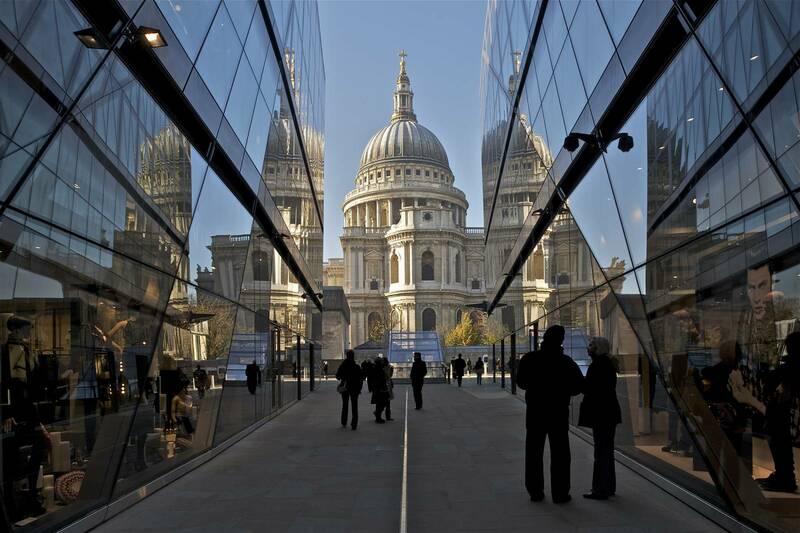 How do we build next to St Paul’s Cathedral in a way that pays homage and is in dialogue? 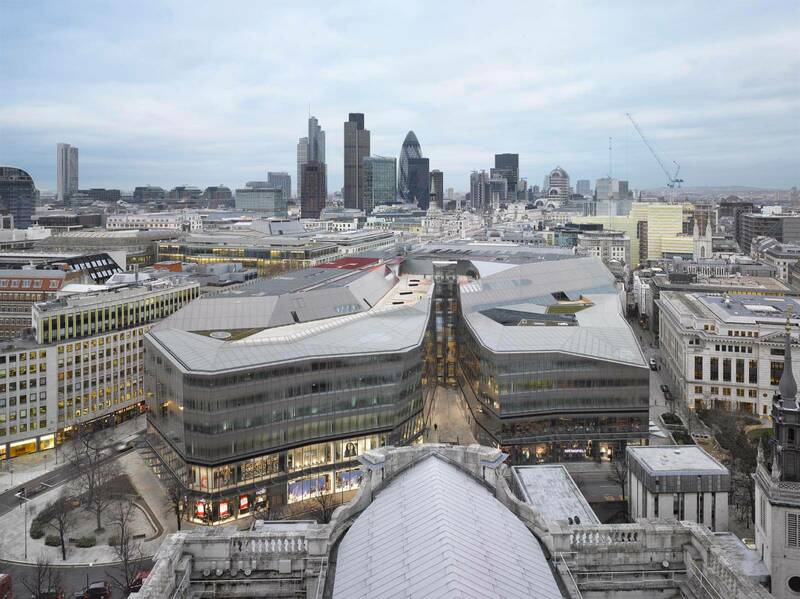 How do we create a roof façade, worthy of being viewed from the Dome, an attractive, sober, roof landscape that is ″in its place” in harmony with the surrounding rooftops? 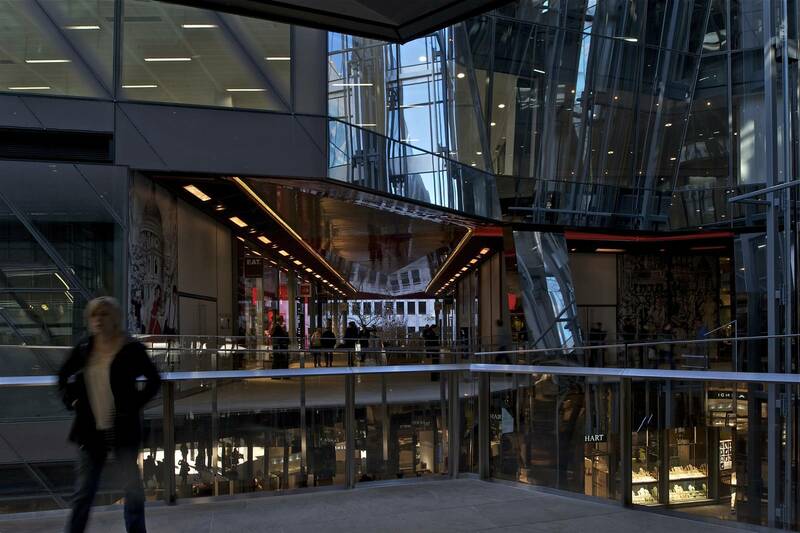 The development of offices and shops should be urbane and welcoming, creating a calm animation that will keep the area lively into the night and on weekends. 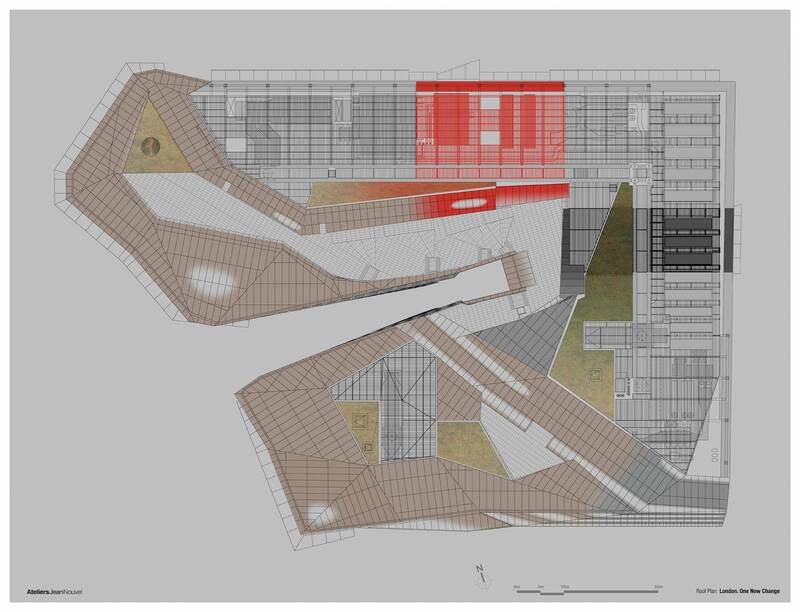 We have sought an architectural typology that fits these objectives. 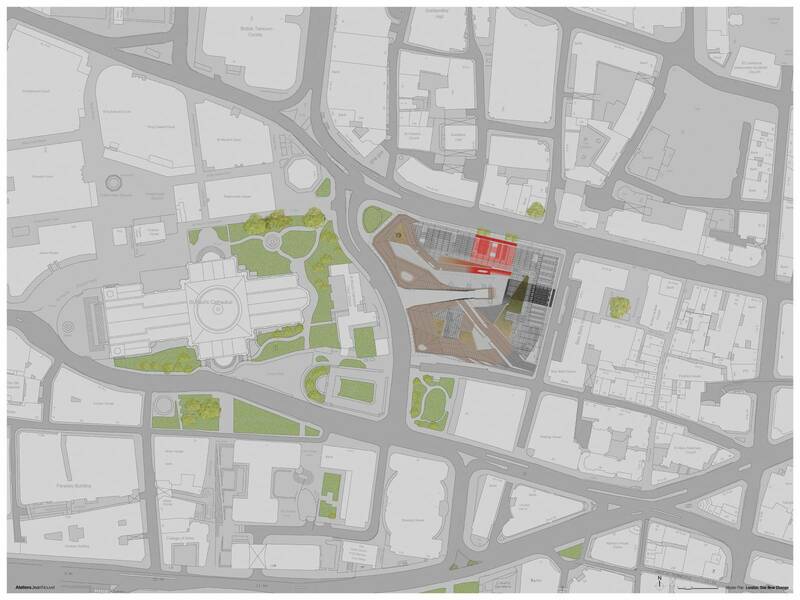 The present scheme is a development of an initial proposal in which a new street bisected the site, beginning as a covered passageway at the intersection of Cheapside and Bread Street and opening a view to the Cathedral Dome. 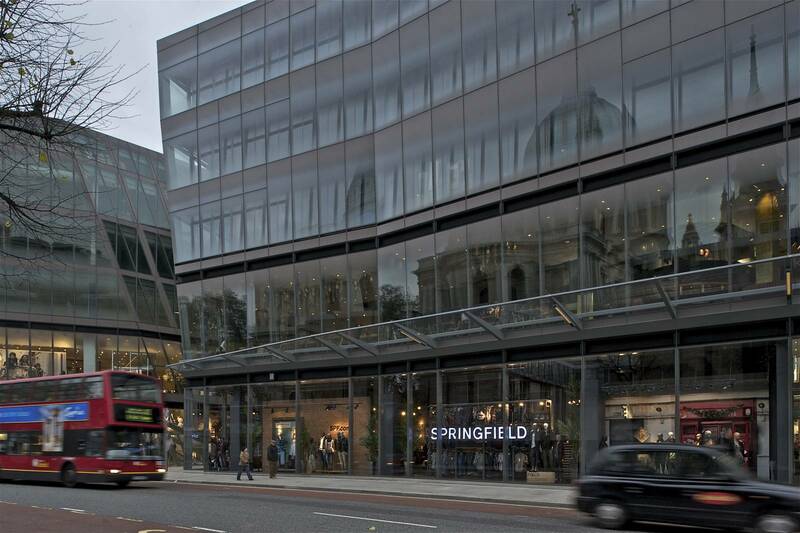 The new concept starts from the principle that there should be passageways within the block to link Cheapside with Watling Street and Bread Street with New Change and bringing about continuity with Bow Bell’s church yard. Theses passages create a crossroads at the center of the block. 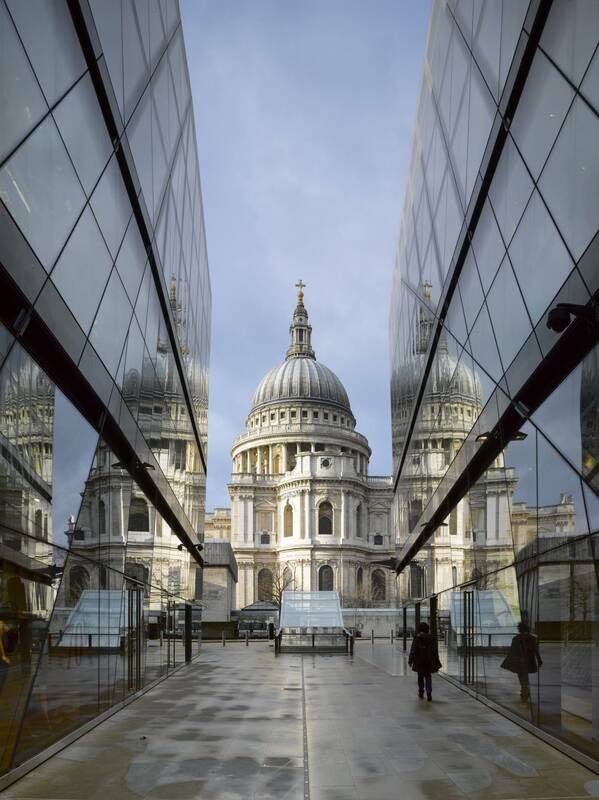 The ambition is to create 21st century arcades, the heritage of arcades like Burlington and Picadilly, and then magnify the importance of the crossing by means of an architectural sign linking them to Wren’s St Paul’s. The sign takes the form of a steel sphere beneath open sky that reflects the image of the Cathedral. The sphere creates light drawing attention from the entrance to each passage. 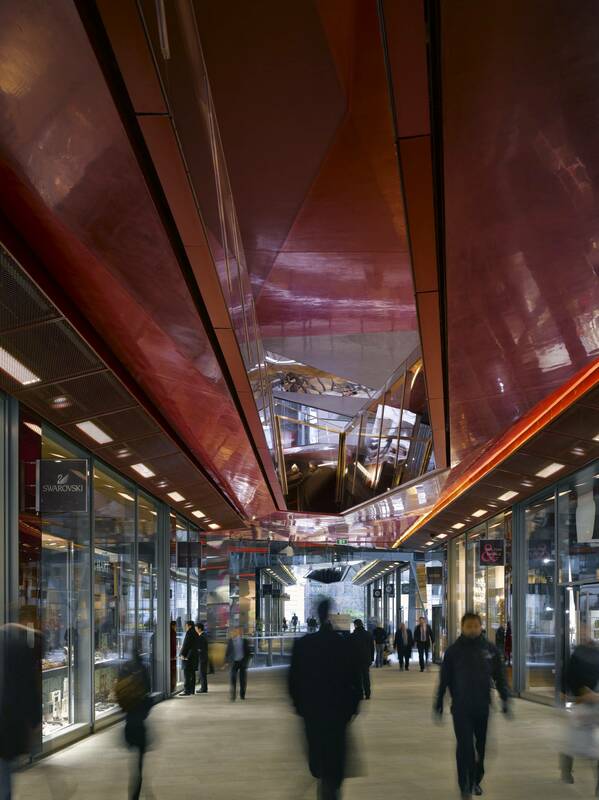 The shops and offices are organized around the arcade crossing, where there is also a panoramic lift giving direct access to the roof terrace. 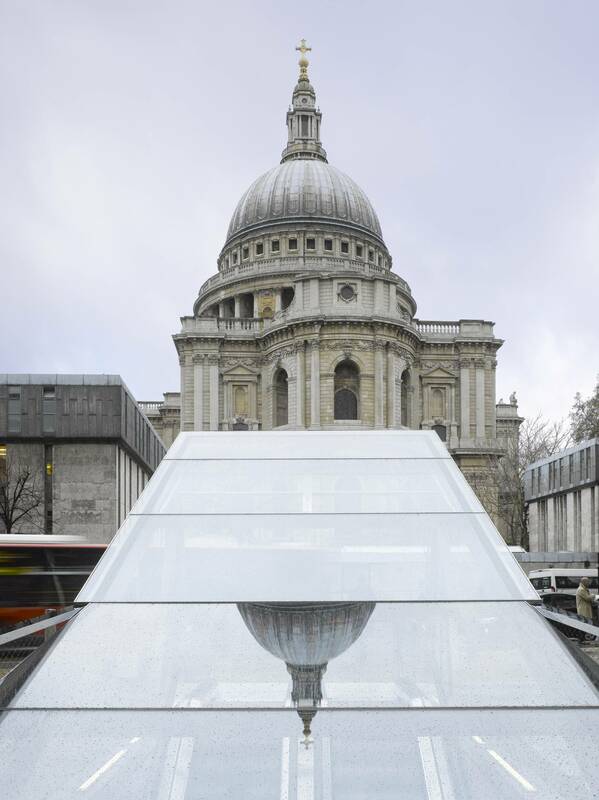 The view of St Paul’s dome from the terrace is unique, striking in its proximity. There are also sweeping 360° views of the city from this terrace. 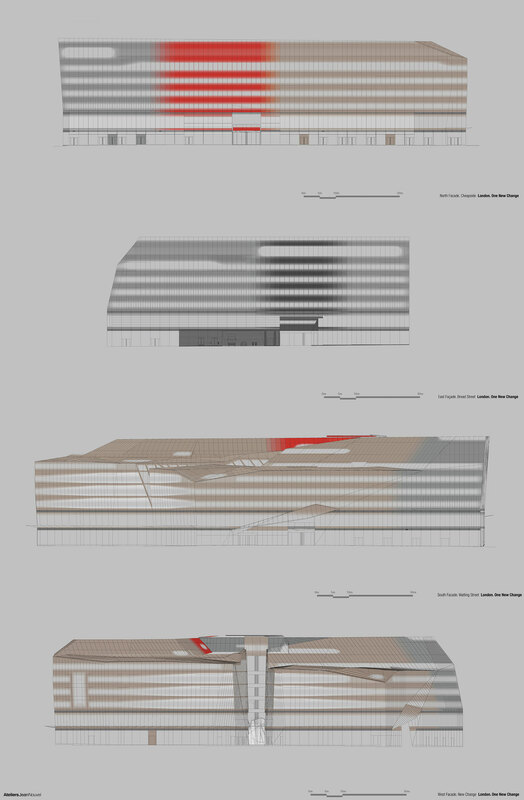 The materials of the exterior facades set up a dialogue with the neighboring buildings and with St Paul’s. They are matte and smooth; their colours echo the surrounding stone and brick facades. Shininess is reserved for the inner passages. The contrast between matte exterior and polished interior stimulates the desire to enter and explore a new quarter that demonstrates the changing of the city. It is about enriching the city with a new sort of modernity, one that reaches beyond itself to speak to, complement, and to reveal the diverse character of its surroundings.